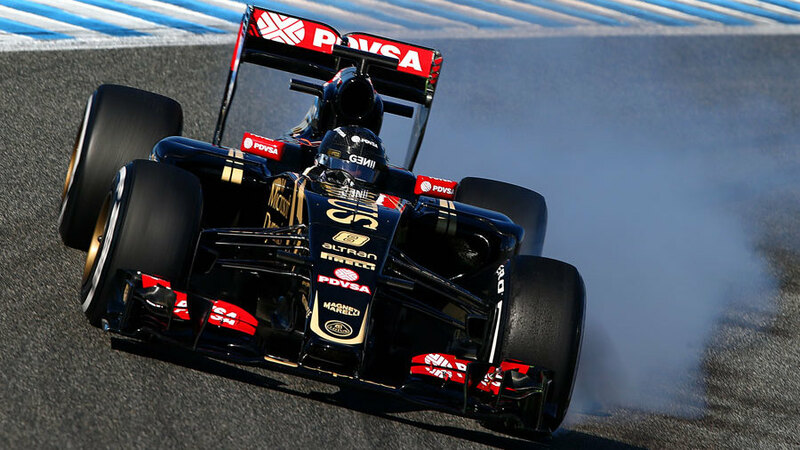 Romain Grosjean says he is a happy driver again after his first day testing the new Lotus E23 at Jerez. After a breakthrough year in 2013, Grosjean laboured away at the back of the grid last year in the uncompetitive E22. Lotus has switched to Mercedes power this year and corrected a fundamental issue with its previous chassis and Grosjean claims it is immediately better. "The whole package is better," he said. "Engine-wise we know we have the best one from the grid and things are working nicely and in terms of chassis it's the same story. "It will be even better if we are on the podium at the end of the first race! But I called my wife when we stopped running and she said 'So?' and I said 'So, I'm a happy driver'. She said 'Good!' That's all you want. "Normally when you are driving the car and it does what you want then it shows you that you have a good starting point and you can really build up from there, unlike last year when we were really struggling and nothing was going as we want it." Grosjean said the handling characteristics were closer to the car he scored six podiums with in 2013 than last year's Lotus, despite the switch to completely different power units after 2013. "It does feel in characteristic, not performance, a little bit more like a 2013 car than a 2014 car. That's what we wanted to achieve so the team has done a good job. To be fair, it goes where you want it to go. "We were able to do some long runs, 10-15 timed laps without major issues. That's good and the engine and chassis are responding well, so you can say that I'm quite a happy driver."